Who decides what cars Canadian dealers sell? The fact that the Mazda2 is not being sold in North America begs the question: why is it being built? Part of the reason is Toyota's investment in the factory. Mazda Canada's decision not to bring in its latest generation Mazda2 is another sign of the fundamental shift in Canadians' car-buying habits. What might have some people scratching their heads, though, is the fact you can actually buy it in Canada if you're willing to trot over to a Toyota dealership ... where it's called the Yaris. Mazda announced last fall the 2016 Mazda2, produced in its new plant in Salamanca, Mexico, would not make it to Canadian showrooms. This followed a similar decision by Mazda USA to not sell the subcompact there. The Americans' decision was not really surprising, given B-class sales are a microscopic part of the U.S.-passenger-car market. Mazda is focused on higher-margin and more popular vehicles such as the new CX-3, pictured, as well as other tall wagons such as the CX-5. But the disappearance of the Mazda2 from the Canadian market is stark evidence of how the landscape has changed north of the border. Compact and subcompact cars once accounted for more than half of passenger-vehicle sales in Canada where higher retail prices, taxes and fuel costs pushed buyers towards smaller vehicles than their American cousins. But the growing popularity of small tall wagons, which offer better utility with little penalty, has eaten into conventional-car segments, especially subcompacts. "Subcompact cars will have the largest sales drop of all segments in 2015, down more than 23,000 estimated," analyst Dennis DesRosiers said in his December AutoWatch Update. "The demand for subcompact SUVs has been unparalleled in 2015." 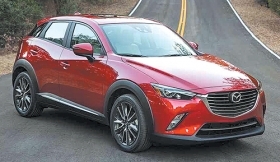 According to DesRosiers' figures, the subcompact-car segment was down 30 percent in November, while subcompact utility sales (categorized as light trucks) rose 157 per cent, perhaps thanks to the availability of new models such as the Mazda CX-3 and Honda HR-V.
That's one reason behind the decision to drop the Mazda2, said Greg Young, Mazda Canada's brand-engagement director. It also coincided with the debut of CX-3, Mazda's player in the subcompact segment. "As we were going through that and preparing, we came to the realization that ... the best utilization of our resources would be on the subcompact crossover, and not divert resources to the subcompact car," he told Automotive News Canada. "We see a lot more upside concentrating on CX-3 rather than diverting our resources and splitting it between the CX-3 and Mazda2." Mazda has been selling between 300 and 1,000 of the more profitable CX-3s a month since its mid-year introduction, No. 2 in the segment behind the HR-V, Young said. Mazda2 sales peaked in 2011 at 9,020, dropping to 2,449 in 2014 and just 758 by November of last year as deliveries dried up. "Looking into the future we figured this is probably a better focus for us than a subcompact car [in addition to] a subcompact SUV," he said. "I can't tell you what the margin is but ... you realize it on a per-unit basis, but also the volume is going to be greater." 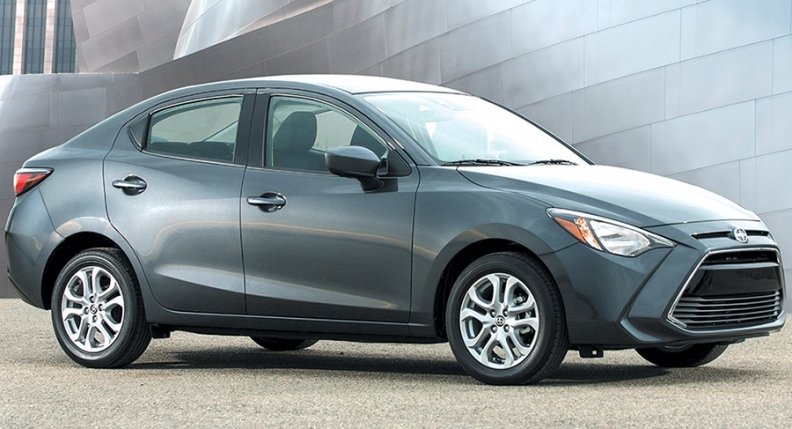 Adding to the confusion, Scion in the United States has acquired the Mazda2 to sell as the iA. How does that square with Toyota's decision to bring in a sedan version of the Mazda2, also being sold in the United States as the Scion iA? "Toyota invested in the Salamanca plant and as part of that relationship, the partnership, the deal was made that we would get a vehicle from the Salamanca plant and it was agreed that we would get the iA/Yaris," said Nancy Hubbell, communications manager for U.S. Scion. 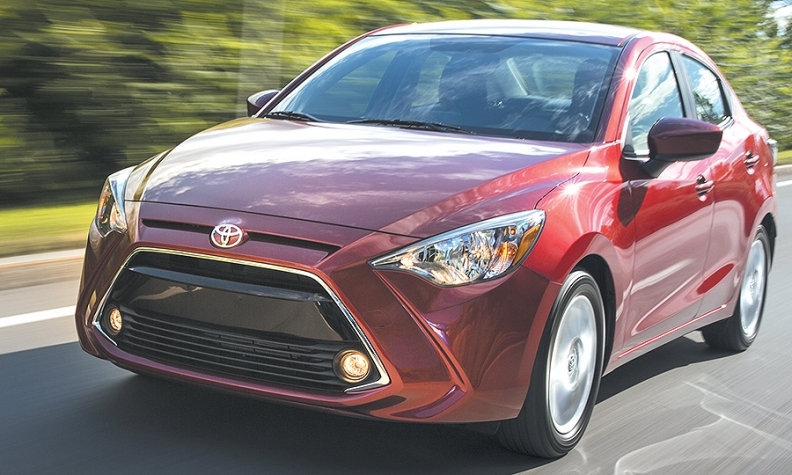 Hubbell said Toyota's youth-oriented arm expects to sell 40,000 iA models a year, which is Scion's first sedan. "We saw an opportunity because our customers are changing a little bit," she said in an interview. "They're looking for something that's a little bit more pragmatic. They want quality, they want the sporty feel and we had a lot of confidence that Mazda could produce something like that." The Toyota Yaris sedan is an addition to the Canadian lineup that up to now has featured three- and five-door hatchbacks designed and built in France. "Toyota identified a gap in our lineup, which matters more in small car markets such as Québec," said Toyota Canada spokeswoman Alice Young Jeon. "Production within our existing manufacturing facilities was at maximum capacity and as a result Toyota collaborated with Mazda to build a vehicle that would meet the needs of our North American customers. Toyota invested $140 million toward the facility to build the Toyota Yaris sedan." Mazda's Greg Young said he sees small tall wagons eating further into traditional Canadian passenger-car sales including intermediates, with further erosion in the bread-and-butter compact segment. "If it hasn't already overtaken compact cars, the largest segment of the market, it's pretty close to it and next year that could happen," he said.